Those are the words of Wayne Knox '79, '84 (PhD), and they, in a nutshell, sum up his career as a researcher, and help explain why he’s just been elected a fellow of the National Academy of Inventors. A professor of optics at the University of Rochester, Knox has been awarded a slew of patents – 50 in the US, and another 150 or so worldwide. Most recently, he co-invented a potentially game-changing way of correcting vision by noninvasively modifying the cornea with femtosecond lasers. It also works with contact lenses and intra-ocular lenses. But he insists he would be “equally excited” about coming up with a better hot sauce in his kitchen. So what does it take to be a successful inventor? The teenagers would then build their own gadgets. But more often than not, the gadgets worked. “I built a regenerative short wave radio entirely by myself,” he says. “I wound all the inductors by hand around little wooden blocks, just by following what was in the books we had. It wasn’t long before he proved it. 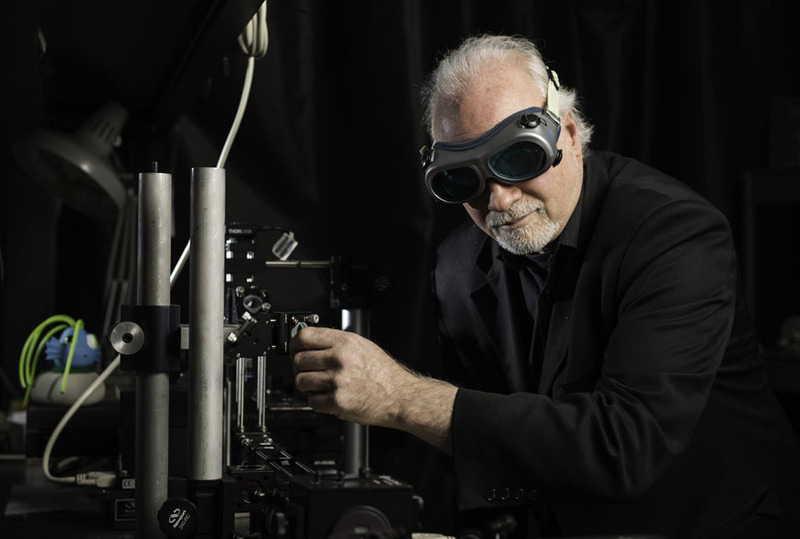 Knox received his first patent while an undergraduate, working in the ultra fast laser group of Gerard Mourou at the Laboratory for Laser Energetics. This was during the period before and after LLE moved to its existing facility. Knox, described by Mourou as an “exceptional undergraduate student,” used high power picosecond switching to develop a jitter free streak camera. More patents followed after Knox completed his PhD at Rochester and joined AT&T Bell Labs in 1984. That was especially true at Bell Labs. When Knox arrived there, researchers received $100 for each patent they generated, Knox says. When IBM topped Bell in number of patents one year, the checks were increased to $1,000. About two-thirds of Knox’s US patents resulted from his work at Bell Labs in telecommunications, fiber optics, optical switching systems, and ultrafast lasers – first as a postdoc, then as a member and distinguished member of the technical staff. 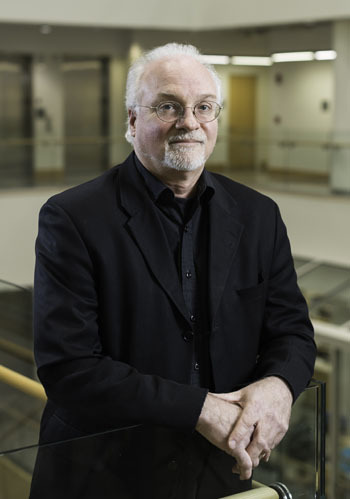 During his last four years at Bell, Knox was Director of the Advanced Photonics Research Department. The company was in the process of selling off various divisions, and Knox’s responsibilities included helping to decide which of the patents held by the company should be kept, and which should be sold. By the time Knox returned to the University of Rochester in 2001 to become director of The Institute of Optics, he had gained a deep understanding of the importance of patents in the corporate world – and a real appreciation for how patents can “capture the value” of a good idea for the benefit of an organization. He has continued to apply that knowledge as an academic researcher, teacher, and even as an expert witness in patent cases. For example, soon after returning to Rochester, Knox began a successful collaboration with Bausch and Lomb, using ultrafast femtosecond lasers to modify contact lenses, and even to noninvasively modify intraocular lenses while they’re still in the eye. It worked. And, thanks to a fortuitous sequence of events, their discovery has led to the creation of a startup company, Clerio Vision Inc., with Knox as chief science officer. With a robust portfolio of patents licensed from the University, and seasoned serial entrepreneurs at the helm, Clerio Vision has “taken off like a rocket,” Knox says. The company employs more than 50 people and is building labs and offices on University Avenue in the city of Rochester. Not surprisingly, in the Optical Engineering Senior Design class Knox teaches at The Institute of Optics, patents are a big part of the discussion. “The important thing to underscore is, if we have a really good idea, let’s make sure that we properly capture the value of that idea for the organization that we’re working with, whether it’s a company or a university,” Knox says. For researchers, it's important to "know what a patent is, how the patent system works, and what your responsibilities are."